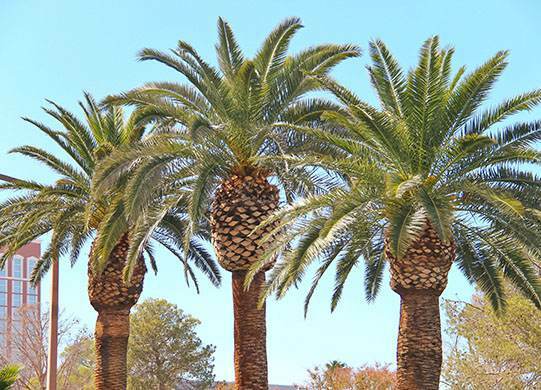 Do you want a tree cutting service in Las Vegas? On the other hand, do you want a company to take care of tree pruning or tree removal? Did you know there are differences when it comes to taking care of trees on your property? Maybe you do, but in case you do not know, Las Vegas Tree Removal Pros are here to explain each service to you. The tree cutting or felling involves cutting a tree and plunging it in the desired place. After the cutting, the next process is limbing. The procedure removes all the branches from the standing or downed tree. After removing the branches, the next step is the bucking. This is when you cut down the tree into suitable lengths. Tree pruning is removing specific branches or stems to help benefit the entire tree. So why do you prune a tree? For health reasons as you, remove the dead or diseased branches to prevent decay or insects from entering the tree. The treatment helps provide longevity for any tree. Tree removal is as the name indicates and you should not do it if you have not qualifications as it is a highly technical task. Yes, we know there is a good reason to have a tree removed as it might have health issues or is threatening the building, utility wires and more. Instead of having it removed completely have it transplanted to a safe location. If the tree has no health risks but is only a threat to plumbing, utility wiring or a building you can save the tree and have it transplanted. Here is where our tree transplanting service can help you. Therefore, what is the process involved with transplanting a tree? First Step: We will come out and inspect the tree that is causing havoc in your yard. Depending on the season and preferably not in winter as the tree can die when transplanted. Second Step: If we find all is well with the tree removal, we will prepare the planting site beforehand. We will dig a hole with the right proportion at the selected site. Third Step: Our crew will carefully dig the tree from the ground and prepare it for the move. Fourth Step: After preparing the tree for the journey, our crew will transport it to the site. Once at the site, we will place the tree back in the ground. In this process, we are creating a great growing environment as the tree is in its new home. Our crew makes sure the tree is healthy before we leave it on the site. We will add new soil, water the tree, and give it a final pruning ensuring it will grow and become older than 100 years. The important thing to remember is before removing a tree and letting it die, rather contact us, and let our team transplant it to save the environment.